It’s like aloo gobi in a bowl. 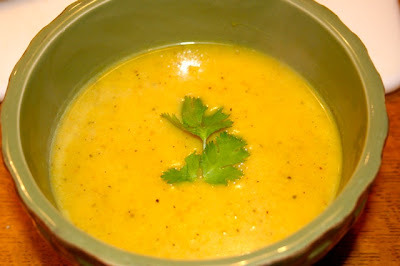 This curried cauliflower and potato soup turned out creamy and delicious. 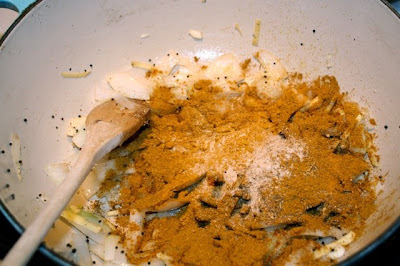 Of course it starts with the spices. 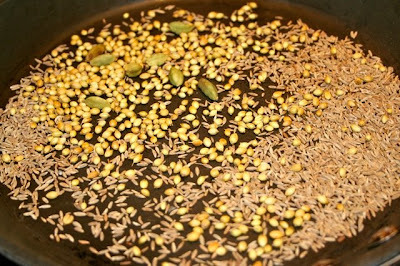 Toasting in the pan are cumin, corriander and cardamom. These were ground up pretty finely into a spice mix. 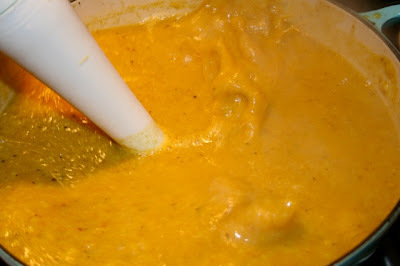 Also flavoring the soup is some tumeric powder, mustard seeds, hing and (not shown) Madras curry powder. 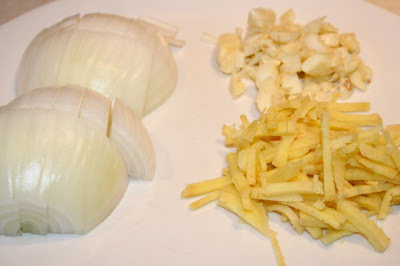 Onions, garlic, ginger and a couple of medium potatoes (not shown) were cut up to be cooked with the cauliflower. Here’s the big bad boy. I first started with a hot pan and a couple teaspoons of oil. 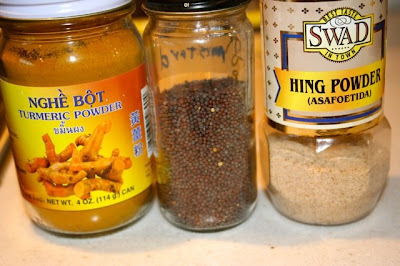 I added some mustard seeds and cooked them until they popped. 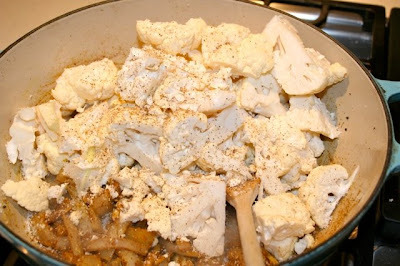 First into the pan were the onions. Of course salt and pepper was added to season the dish at every step of the way. 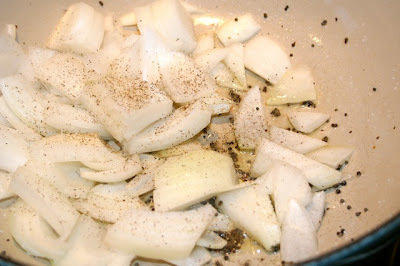 The onions were followed by the garlic and ginger and after being sautéed for a couple of minutes the spices were added. 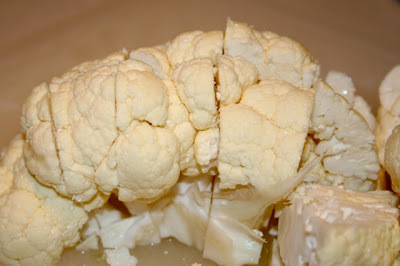 Next the cauliflower and potatoes. 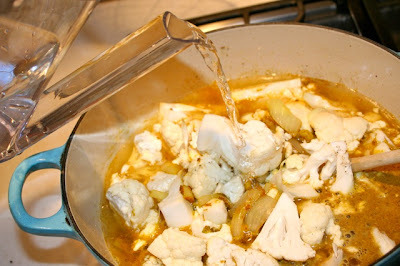 Water was added to cover the vegetables. 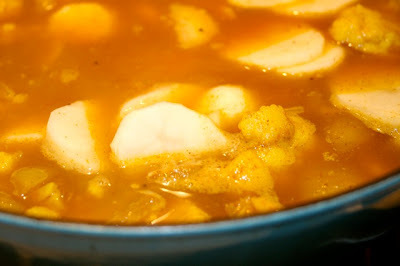 Everything was simmered together until the vegetables were very tender. 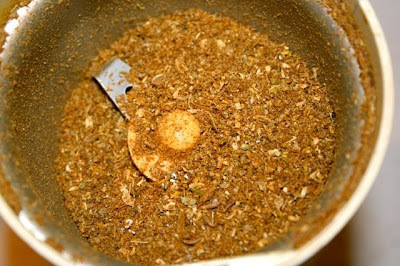 A blender stick made quick work of puréeing the mixture. Yes this indeed like Aloo Gobhi in a bowl! Thanks for stopping by Greg. I am concerned about botulism, but surely would Channel 4 not know? How does botulism develop? Is it related to oil as a medium?